Greenland sharks can live as long as 400 years, making them the Earth’s longest-living vertebrates, international researchers say. 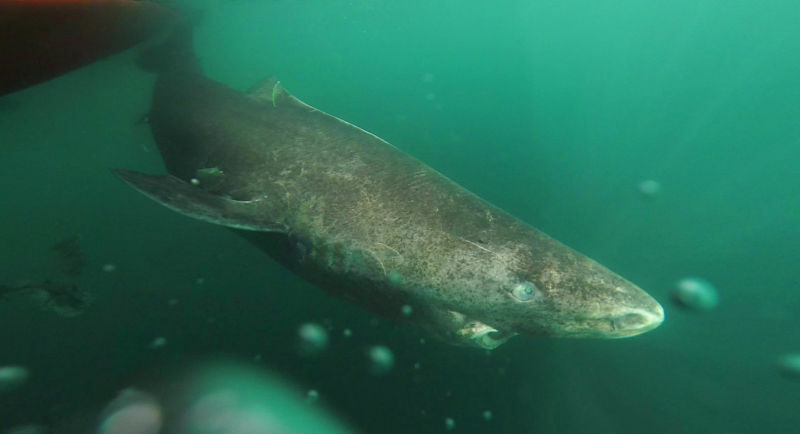 Greenland sharks are probably the longest-living vertebrates on Earth, scientists have announced, after finding examples of the rare creatures which were between 272 and 512 years old. The fish live in the cold waters of the Arctic, grow at just 0.5ins per year and reach sexual maturity at the age of 150. “We had our expectations that we were dealing with an unusual animal, but I think everyone doing this research was very surprised to learn the sharks were as old as they were,” said lead author and marine biologist Julius Nielsen. Researchers from the University of Copenhagen have used radiocarbon dating methods to determine that one specimen, a 16.5ft female, was “most likely around 392 years old”, The Guardian says. “Because radiocarbon dating does not produce exact dates, they believe that she could have been as ‘young’ as 272 or as old as 512. But she was most likely somewhere in the middle, so about 400 years old,” the BBC says. The dating method was performed on the eye lenses of 28 females caught unintentionally by fishermen seeking other species. The previous record holder for the longest-living vertebrate is the bowhead whale, at 211 years old, says the New Scientist.